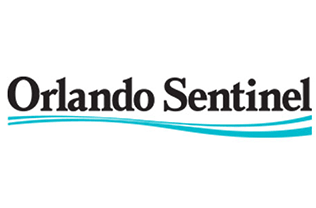 The following are published articles which have appeared in the Orlando Sentinel newspaper. Some of life's most important lessons are cumulative. In time, they are recognized as a thread that runs so true throughout life. The most important lesson in my life was about generosity of spirit. It is an essentially human gift that we have to give to each other. It defines us, inspires us and gives us hope. My mentor and my friends gave it to me as a gift. A quarter of a century is a long time to walk through life with a group of friends, led by a psychiatrist, Walter J. Muller, who believed in us. He has mentored us for 25 years. Although several of us now participate in other services, we came together as graduates of a pioneering local program for severely mentally ill teenagers and young adults. Most of us have biologically determined brain diseases called schizophrenia or variations of psychotic disorders. The so-called past residents' group was the follow-up part of this unique project. It was created and run by Dr. Muller, who established the program in 1973. For some of us, this unusual program was the last stop before the state institution. Some of my friends were taken there by despairing and almost-hopeless families. One of us was brought back to the house by the police, who picked her up while she was walking down Interstate 4 in the middle of the night, barefoot, in the pouring rain. A long time ago, our group put a raincoat and shoes on her and persuaded her to stay off the interstate. She is now living independently and is contributing to life through a volunteer commitment to a nursing home. devastating illness, no anchors and very little hope left. Like my friends, I was embraced by the program and taught important survival skills and the basics of how to live with the long-term illness of schizophrenia. The past residents' group took up where the residential phase left off. These are the most frustrating and elusive "how to's'' that we have to master. These are the deficits that sometimes leave mentally ill people with the haunting feeling of standing on the periphery of life, alone, looking through the invisible barrier of illness, forever a spectator of life. It is like watching a movie with characters and actors you do not know, with a vague plot that you don't quite understand. For some of us, after many years, a sliver of the intricate synchrony of life going on around us is just moving into view. Through the years, we have learned to identify and appreciate our abilities and how daily to manage the potential destruction caused by molecular-level dysfunction encoded into our brains and our lives. mistakes, birthday parties and spontaneous acts of friendship and alliance. We put our failures into perspective, learn from them and let them go. The most important lesson I have learned in my life is a continually evolving understanding that the gift of generosity of spirit -- freely given -- has the enduring power to heal and to free. With it, nothing in life is insurmountable. Dr.Walter J. Muller "The Hope Giver"
Florida legislators have the opportunity to address fail-first insurance protocols that prevent patients like me from receiving medication in a timely manner. I know firsthand what it's like to be denied necessary medications because patients are being treated like a number, rather than as an individual. Fail-first, or step-therapy, protocols require a patient to try the least expensive treatment or medication to address a problem, despite what a patient's physician recommends. After failing first on the least-expensive option, a patient can then receive the medication and at the doses their physician originally prescribed. These protocols allow many patients' conditions to deteriorate. I have suffered from schizophrenia and bipolar disorder for more than 40 years, and have dealt with a history of suicidal tendencies and emerging mental illness with improper medications. For many years, I have struggled to receive the proper medications that I need. I failed on more than 30 medications before finding two that work. As a dual-eligible Medicaid patient, I was transferred to a Medicare Part D plan and was told that there would be no restrictions on my medications. Immediately after being transferred to Medicare Part D, I was faced with barriers and repeated denials. This continued for more than 50 denials, despite the appeals made by my physician who noted the dangerous side effects from the cheaper dose levels suggested due to fail-first protocols. After months of fighting the battle alongside my doctors, I was finally approved for the proper doses of my medication. It's imperative that we ensure that patients aren't subjected to complicated processes to receive necessary medications. The current legislation -- House Bill 863 by Rep. Shawn Harrison and Senate Bill 784 by former Senate President Don Gaetz -- can help to address these problems with insurance companies. Our representatives need to capitalize on the opportunity this legislative session to protect Florida's patients and help to guarantee that patients have access to proper medication. Patients need the right medicine at the right doses at the most appropriate time to ensure the best and most efficient course of treatment. PeggySymons of DeLand is a member of the National Alliance on Mental Illness of Greater Orlando. Darryl Owens’ column “It’s time to bury ‘thug’ term under Baltimore’s ashes” (Orlando Sentinel, May 11) on the violent unrest in our cities makes the point that in the travail over civil rights, no one’s life is less worthy than another’s, whether police officers, bystanders or protesters. The column also identifies the damage done by rioters as a perfect cover to avoid timely focus on discrimination and to look away from the impact of prejudice ripping through the lives of our own people. Prejudice remains a relentless adversary; it emboldens discrimination and justifies hate. Following the death of Michael Brown, the unarmed teenager shot by a Ferguson, Mo., police officer, the Department of Justice profiled a multitude of civil-rights abuses, including discrimination so deeply entrenched that city employees were bouncing racist emails back and forth with no thought they would turn and bring down the city. Clearly, prejudice has been undeterred by civil-rights laws. People living with mental illnesses are still being shot and killed by untrained police officers. Housing and employment discrimination continue to interfere with the civil rights of minorities and people with disabilities. Legitimate remedies are scarce and elusive. Whether discrimination hits with billy clubs or travels in shadows and veils, it takes a bite out of our humanity every time it targets another person. Until we illuminate the sweeping damage done by prejudice, we will never be free. Deadly encounters with police have ignited a fierce debate over the future of civil rights in America. Intense focus on the rights of citizenship, including the right to be free of discrimination, cannot exclude the largest segregated group in the nation: one in four people who experience a mental illness. These citizens, including our children, remain ruthlessly segregated at the bottom of state budget bills that eliminate critically necessary medical and psychiatric services. At 49th in the nation for per-capita spending on mental illnesses, Florida is among the worst offenders. There are now five times as many people with these disorders of the brain in jails and prisons than hospitals; once arrested, they remain incarcerated much longer than others who commit the same offenses. About a third of the homeless are mentally ill. These are not idle facts; they are vital statistics and evidence of where we have segregated mental illnesses. They also expose civil-rights abuses so serious they spill into breach of human rights. On June 23, 2012, guards at the Dade County Correctional Institution threw a mentally ill prisoner into a scalding shower for more than an hour; he burned to death. News coverage of the death revealed rampant discrimination and abuse of mentally-ill inmates in Florida's prison system. This case, along with others, reveals the secrecy that riddles the prison system and exposes practices that treat people with mental illnesses with cruelty, abuse and neglect. All citizens have constitutional rights to be treated equally under the law. But it is clear that prejudice and discrimination have swallowed the civil rights of a category of people who have the least ability to take them back. The civil-rights era of the 1960s was a wrenching period of life-and-death struggles. People lost their lives, their homes and their jobs. Fifty years have passed since the Civil Rights Act of 1964 became law, but for some, including those with mental illness, the battle endures. The evidence is clear that prejudice and discrimination driven by their deep roots are not dead. Without constant vigilance and the reach of moral law, they will continue to cast a long shadow over the identity of our nation. Column: MY WORD PEGGY SYMONS Copyright (c) 2014, Orlando Sentinel Communications. All rights reserved. ﻿Since the Columbine High School shootings in Colorado 15 years ago, one mass murder after another has shaken the nation. The latest rampage was at the hands of a California man who had a long history of mental illness. It is a grave error to look away from the high-profile tragedies seizing other states with the complacent illusion that somehow Florida is immune from the toll and consequences of untreated mental illnesses. Keeping in mind that people living with serious mental illnesses are overwhelmingly nonviolent, it is becoming increasingly clear that there is a small fraction of individuals who do become violent, almost always in the absence of treatment and modern medications. Legitimate debate over how to prevent further loss of life is breaking out all over the nation, including Florida. Searching for answers to violence and mental illnesses must encompass the fact that the greatest loss of life to mental illness in Florida isn't to homicide; it is to suicide and early death accruing through decades of restricted access to timely and effective psychiatric services. Suicide rates are rising; 2,922 people in Florida ended their lives in 2012. More than 90 percent of those who commit suicide have a diagnosable mental illness. In addition, nearly two-thirds of those suffering with these diseases of the brain are not receiving treatment. More than two dozen psychiatric hospitals have closed since 1995, leaving thousands of the most acutely ill people in the state nowhere to go. These statistics are a sliver of Florida's fatally flawed policy of neglecting serious mental illnesses. Prejudice and discrimination have put serious mental illnesses at the back of the bus for decades; yet lawmakers never seem to see the collision between failed public policy and preventable loss of life. Predictably, the 2014 Legislature convened and adjourned leaving Florida stubbornly stuck at 49th in the nation for funding community-level psychiatric care. Until the state of Florida is stunned into action by a sudden strike of violence, significant reform of one of the nation's most inadequate and underfunded mental-health systems will remain mired in low priorities and the hidden suffering of thousands of people, including children, who are shut out of any hope of recovery from serious mental illnesses. There are warning bells tolling through every life lost to mental illnesses. We cannot turn away as if we do not hear; the bells are tolling for us. Peggy Symons lives in DeLand. The Orlando Sentinel's article Saturday on the men charged with murdering two teenage boys was graphic and frightening ("2 arrested in killing of 2 teens"). Without counterbalancing information on schizophrenia, this heinous crime is casting a long shadow over mental illness and perpetuating the myth that those of us who suffer from it are categorically violent people. In a further twist of the myth, the most underreported and under-treated aspect of this disorder in women is exposure to violence, trauma and abuse. Schizophrenia is a devastating disorder of the brain; it strikes young, and it hits hard. The most common act of violence associated with this illness isn't murder; it's suicide. In addition, poor health and lack of access to medical care take a heavy toll. This illness lops an average of 25 years off the lifespans of those who bear its burdens. biological codes and puzzles of serious mental illnesses. article, the public portrait of this illness becomes framed in violence. Stereotypes push the perception of mental illnesses back into the dark ages. an opportunity to shed the light of understanding on schizophrenia, to separate violence from mental illness and to topple the illusions that continue to drive stigma, discrimination and stereotypes. Helen Keller tagged her target perfectly when she said, "The world is full of suffering; it is also full of the overcoming of it." of people with schizophrenia; we are your friends, your neighbors and your loved ones. Peggy J .Symons of DeLand is a member of the National Alliance on Mental Illness of Greater Orlando. Florida ("Police: Lanza had stash of weapons," Orlando Sentinel, March 29). any community is immune from the violence that is rattling the nation. living with these conditions rarely commit atrocities. movies, video games and TV shows. regard for life itself; animated violence becomes tolerated violence. the scattershot of random violence? flying over Florida's neediest and most vulnerable children. across the nation with Florida leading the way. offices of every state legislator and lobby for their rights to life. children, for as Florida goes, so goes the nation. Copyright 2009 Sentinel Communications Co.
its pace and can seem to move even more quickly than usual. Shopping, lights and sales materialize after Thanksgiving and continue into the New Year. memories of past holidays that were difficult or empty are remembered or relived. It is the season that can stir up feelings that life has left us out or that we are standing on the outside of the holidays, looking in, as the world celebrates all that we have missed. So we turn away from the holidays, feeling discouraged, disconnected or like we are not invited to this annual celebration. us if we make a mountain-moving effort to find something that all of us have butfew of us ever find. That is the knowledge that we all have gifts and talents to bring to the holidays, and that no one's gift is diminished by a mental illness or loneliness or even by feeling forgotten. Encouraging others, showing kindness and reaching out our hands to hands in need are among life's greatest gifts. They can't be purchased or sold, only given and received. They don't break, fade or fall away. These are the gifts that can change lives. world awaits the universal grace of the gifts we have to bring. When people die of these brain disorders, they don't usually go up in smoke and fire like the Virginia Tech student who killed 30 people before he shot himself. They die of suicide in the shadows of the night, and then fall into America's archives of the forgotten, where nothing ever moves or changes. Most of us are impacted by mental illnesses in some way, either by circumstances or biology. Yet access to modern medications and expert psychiatry is crumbling across the nation. We have the ability and the responsibility to build a better system of care for those among us who are profoundly ill and forsaken. The hope of their healing is in our hands. team training is a 40-hour specialized course for law-enforcement officers about how to respond to crisis calls from people who have the disorders of the brain that cause mental illnesses. The National Alliance on Mental Illness of Greater Orlando presents the actual experiences of people who live with these disorders of the brain and our families. The officers come into our classes as "strangers in a strange land," to borrow the title of Robert Heinlein's science-fiction novel. Forty hours later, they graduate, fully equipped with the keys and the compass of certified Crisis Intervention Team Officers. medications and psychiatric services from the most seriously ill.
By default, law-enforcement agencies are now the first responders to severe mental illnesses. illness and a crime, they are turning the tumblers on the locks and shackles of the inappropriate criminalization of mental illnesses. We watch their faces engage as we take them down the dark and difficult back roads of mental illnesses, where people lose their way and sometimes even lose their lives. understanding flash across the faces in the room, and in that instant, know they have become our torchbearers and keepers of the light. This is a unique light. It rises through their ranks as the heroics of prevention. because the officers know how to reach across the psychotic abyss and disarm delusions before the first shots are fired. They are the heroics in the headlines that don't rock our communities because specially trained officers know how to de-escalate the high-profile tragedies of mental illnesses before they happen. lifelines to people in the most desperate moments of their lives. I believe that all of us have a call on our lives to serve the common good. The men and women of Central Florida's crisis intervention teams have honored a call on their lives. They will also be walking with us, the National Alliance on Mental Illness of Greater Orlando, on Saturday at Lake Lilly in Maitland. Come and join us, our officers, and jazz artist Joyce Cooling at 9 a.m.
We will be walking to the "Music of the Mind." MITIGATE THE UPSET . . .
medication can make all the difference in the quality of a person's life. illnesses need answers now, and AHCA needs to provide them. mental-health system is broken, fractured and failed. recovery and some are even losing their lives. But America is rolling toward the election of 2004. Now is the time that our votes have the deepest reach and greatest power to transform mental-health care in America. Voting is the great equalizer; it is also the vehicle and engine of change. funding, we can transform mental-health care in America. reach; it has the power to become what it envisions. Justice for all is in our hands. power games between the House and Senate intensify. May 1 is bearing down on these desperately ill people with the certainty of a law set in stone. The immediate obligation of the Legislature is to pass this July 1 extension date. never should be used as footballs or looked at merely as inconveniences. Equitable Treatment Act of 2003" was submitted to Congress. mental illnesses equitable to any other medical condition. His parity legislation, even with a congressional alliance, was defeated for years. the brain disorders causing severe mental illness. diseases of lifestyle caused by smoking, drinking and dietary choices. breakdowns in the biochemistry of the brain that cause mental illnesses. Despite the current and clearly established physical foundations of mental illnesses, old Freudian myths blaming families remain as ghosts of shame and guilt, so entrenched that policy-makers are still dog paddling in the backwaters of 19th century pseudo-psychiatry. and gold of endless campaign currency. themselves as fully insured government employees. shame, most of it treatable. act for those who can't. It is their only hope of being heard. access to treatment, the roads to recovery will become the roads well traveled. Peggy Symons , an advocate for the National Alliance for the Mentally Ill of Greater Orlando, lives in Deland,Florida. undesirable by manipulating the molecular biology of our own brains. out of reach for millions of uninsured people. this common and highly treatable illness. As the date of the Academy Awards approaches, once again A Beautiful Mind is on the American mind. was so authentically presented that I, of all people, thought it was real. one's fault, and it is never a choice. benches or trespass on Dumpsters. As funding for vital mental-health services dwindles, prisons have become the de facto psychiatric hospitals of the 21st century. Reduced to dollars and no sense, the costs of jailing us are more expensive than it would be to treat us. We exist behind the locked doors of "no access" to effective treatment. We live behind the walls of stigma and misunderstanding. This is where much of our humanity remains hidden. It has been through the new lens of A Beautiful Mind that we have been given the vision to understand, to value and to respect the inner beauty of so many people like John Nash, walking through life with chronic, severe mental illnesses. These are our neighbors and our loved ones. Who will see their inner beauty and who will know their names? How do we answer the age-old question of conscience and responsibility? Am I my brother's keeper? I am my brother's keeper. Forty percent of severely mentally ill people get no treatment at all. Imagine if 40 percent of those with equally catastrophic illnesses went without available or effective treatment. to graves, untreated, in part because of a lack of financing. become the equivalent of the emergency room of the state. of the severity of impact on the lives of Floridians. Medicaid and the Medically Needy Catastrophic Costs program. Cutting these drugs will result in massive new costs as severe illnesses erupt. The heaviest costs will accrue in the certain relapse of thousands of people taking the new, expensive medications that effectively treat the severe and chronic brain dysfunctions causing schizophrenia and bipolar disorders. hemorrhaged out $17 per person in rehospitalization costs. Intelligent triaging means preventing known casualties before they occur. These newer medicines are the most effective recent development in the neurobiological treatment of these complex and often life-disrupting illnesses. As Silver and Gov. Jeb Bush well know, restricting access to medicines that work results in the predictable, preventable, huge end costs of jails, hospitals, emergency rooms and immeasurable human suffering. This senseless budget-cutting attempt is occurring at the same time as Bush presses to cut taxes benefiting the wealthiest among us. This is a crystal-clear presentation of the political charades that often accompany the unfairness of mental-health issues. There are 40,000 Floridians with brain diseases, most of them silenced by stigma, who will be affected by this bill, essentially without representation. The special session of the Legislature has become the equivalent of the emergency room of the state. allocation of resources should be mandated in order of the severity of impact on the lives of Floridians. Catastrophic Costs program. Cutting these drugs will result in massive new costs as severe illnesses erupt. provided the best medical triage lesson for emergency management of funds. For every dollar cut in psychiatric drugs, the state hemorrhaged out $17 per person in rehospitalization costs. award-winning scene of Anthony Perkins as Norman Bates slashing his victim in the shower of the Bates Motel. Janet Leigh, though, is not Psycho's only victim. Also victimized all along have been the tedious, quiet heroics of mental-health advocates. Cuckoo's Nest have exploited people with neurobiological illnesses by creating images without conscience. They have made millions of dollars to entertain us, yet people with brain disorders have paid the price in the erosion of our humanity and in the demeaning of the difficulties of our lives. entertainment industries are the most powerful image makers of our culture. They have expertly captured and marketed these lurking shadows, realizing the profit potential. In reality, mentally ill people must travel some of the deepest currents and difficult roads that run throughout life, often having to draw on reservoirs of courage and tenacity that many people never know or see. We walk the no-choice, no-fault roads laid in front of us by schizophrenia or severe mood disorders. Together, with our advocates, we have held each other's hands and shared our loads of grief and loss. None of us could ever be mistaken as residents of the Bates Motel; neither do we fly over cuckoos' nests. If we have flown at all, it has been on the hard-won wings of self-respect and alliance. encouragement to the advocates who believe in us, the families who love us and the professionals who legitimize us. It is my hope that these advocates will carry the gift of our encouragement with them always, along with the hope and promise of building a new day. When you are tired, or it seems like breaking down the entrenched walls of stigma and unfairness are hopeless or so far away, take this gift out of your pockets and hold it up to the sun. of misunderstanding and past the shadows of stigma cast by those who do not know us. This is the light of hope and promise that you hold in your hands. This is the light of the sun. Light the roads traveled by mentally ill people and you will bring the rest of the world along with us. The Florida Senate Ways and Means Committee's proposed $118 million cut from community mental health centers and state hospital funding is a compelling example of how vulnerable mentally ill people are. do they constitute anyone's constituency. Therefore, it is safe for legislators to chop outpatient programs to pieces. True, government will save some money up front. many of these people will end up in hospitals to the tune of $1,500 a day. Then state legislators will be forced to pull out their calculators to determine fully the extent of their mistake. Saving money on the backs of thementally ill is not a cost-effective way to manage limited resources.